Digital marketing solutions are a great way to refocus your brand or get your business off the ground. They are powerhouses of experienced and talented professionals who come from diverse backgrounds. Many digital marketing agencies have creative teams, technical teams, marketing teams and even customer happiness teams depending on their size. Those are only a few examples of the benefits of hiring a digital agency. There are many more to discover once the work begins and the results start coming in. 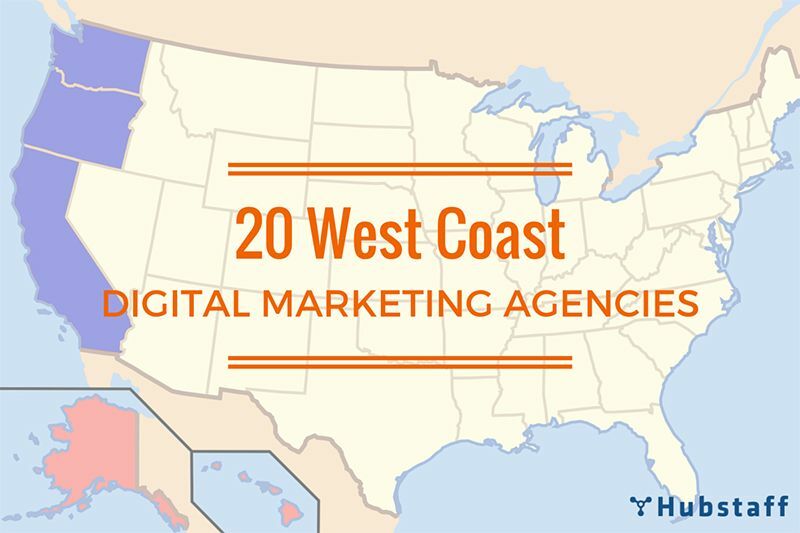 We have compiled a list of awesome marketing agencies on the West Coast so that you can find the perfect fit in terms of digital marketing solutions, brand management, skills and qualifications to propel your business forward. Blitz is a full-service digital agency with social media capabilities. They have worked with multiple brands to craft, improve and re-energize brands and ideas. Blitz is able to help companies with everything from big idea strategy to execution on an emerging platform. They have an extensive list of solutions and a portfolio of verticals that displays their projects from top to bottom. Tweet them to learn more. i.d.e.a. is all about making brands shine, online and in person, by fostering and supporting purposeful work. They help companies find brand purpose, which is the happy intersection of how you can benefit the world and what you do best. i.d.e.a. is a Certified Benefit Corporation, or “B Corp,” a community of companies committed to using the power of business as a force for good. They can help any business develop strategic and creative ideas, design the needed materials, launch your ideas online, connect to your target audiences and more. Visit their portfolio to see some of their work. Altimeter is a digital research and strategy agency that provides insight into your target audience, internal audiences and other key information. They help companies understand and leverage technology disruption by equipping them with the data needed to thrive in the face of change. Solid research is at the heart of their strategies and they are leading at the forefront of disruption, which provides foresight and allows them and their clients to make tough decisions early. Altimeter publishes all of their independent research so it’s available to the public. Everything they produce, including formal reports, presentations and webinars, is released with a Creative Commons license. View their featured work and case studies to see how they’ve helped companies such as LinkedIn, Southwest Airlines and Adobe. SHIFT is an integrated communications agency with offices in Boston, NYC, Austin and San Francisco. Their teams can help fund, build and convert new audiences for consumer, tech and media companies. They have international experience, industry experience and marketing experience that they can apply to drive company growth and strategy in the right direction. In 2012 they were named Digital/Social Agency of the Year by the Holmes Report and overall Small Agency of the Year in 2013. SHIFT has an illustrious client list that includes H&R Block, McDonalds and Salesforce.com, but no single client represents more than 10 percent of their revenue. By regulating their revenue from different sources, they remain independent and free to provide all clients with the best service and counsel. They also leverage the networks they build with big brands to help the startups they work with, such as Yelp and Kaspersky Lab. View their featured campaigns online. LiveWorld is a social content marketing company that uses innovative software and technology to help companies understand and interact with their audiences in social media. They can help connect business goals to effective social media programs, deepen customer relationships, increase social media engagement and protect brands on social media through moderation. They also provide actionable insights that teach what your customers think and what to do about it. Their extensive client list includes Advil, Pfizer, Wells Fargo, Louis Vuitton, Bank of America and Johnson & Johnson. They serve companies in industries such as retail, pharmaceutical, financial services, travel services, healthcare, technology, automotive, media and entertainment. View their client list online to see some of their projects. Bonfire Marketing is a full-service digital marketing agency that aims to illuminate your business in the digital world. They combine strategy, content development, marketing management and ROI measurement to deliver effective results. Bonfire Marketing will begin with a complete content audit of your business’ current efforts, devise a plan based on your overarching goals, customize content that brings in tangible results, and then publish and manage that content throughout all your communication platforms. They are experts in building new audiences while retaining current loyal customers. Bonfire Marketing is also data-driven, meaning their results will be displayed in facts and figures. They use tangible, factual analytics and metrics to update their clients on progress and successes. View some of their success stories on their website. Tweet them to find out more. Fish Marketing is a marketing and advertising agency that specializes in business growth and branding. They are a fully integrated marketing agency that knows how to bring multiple elements, such as SEO and social media, together to get results. Fish Marketing offers a complete and cohesive team of professionals in brand strategy, interactive, creative, media buying and PR. Clients also have their own personal account managers, who see that the work gets done and the brand image is projected perfectly. Fish Marketing can help make your business look good and get results by keeping your marketing message clear and seamlessly integrated. They can build and maintain a website, write emails, oversee mobile marketing and keep all those messages concisely branded. View some of their work online to see how they do it. Savy is a branding, web design and digital marketing agency based in Bend, OR. They also operate out of a second office in Santa Barbara, CA. They create brand experiences, connect people and help businesses tell their stories with consistent branding and messaging that wins customers and creates loyalty. They study consumer behavior to gain valuable insight into how brands and people interact, then use this knowledge to build engaging and enduring brands. Savy can help businesses with brand planning, positioning and identity, digital marketing, web design, social media, content, application development and user experience design. Visit their branding case studies or work page to see some of their projects. Mad Fish Digital is an online marketing agency with more than 10 years of experience in SEO, strategy development and digital marketing. They aim to innovate, collaborate and simplify solutions to complex marketing challenges. Their mission is to provide the world with innovative pieces to the digital puzzle, and help businesses with their search engine marketing and optimization. They develop custom strategies tailored to fit a company’s unique pain points, growth areas and revenue needs. Mad Fish Digital works with companies to develop a personalized strategy based on needs, competition, audience and budget. Each campaign is executed with a variety of tools in order to obtain clear metrics and goals. They are also able to track the progress of online campaigns at all levels of a campaign and report to their clients weekly or monthly. Visit their portfolio for case studies, infographics and web design examples. Sproutbox is a full-service digital marketing agency that provides beautiful and efficient digital marketing services to create growth. Sproutbox can help companies with everything from website builds to full-marketing funnel management. They have successfully launched more than 100 client websites with a 95 percent satisfaction rate. They current have more than 75 happy clients who contract with them on a regular basis. Sproutbox offers companies different work models to choose from. A business can choose to hire them on an hourly basis, keep them on monthly retainer, or hire by project. That way, you can test their work, benefit from their expertise and ensure your digital persona is always in good shape, from regular blog posts to SEO. Find some of their past projects at their featured work page. Cardwell Creative is a full-service marketing agency that is filled with resourceful problem solvers who can help your business with all aspects of marketing; digital, video and branding. Some of the unique things they offer clients include device-responsive websites, data-integrated sales materials (input your data in once place and it updates in multiple other places) and e-commerce solutions. Cardwell Creative is all about communicating value by helping their clients convey what makes their product or service unique and useful to their target audience. They deliver engaging and memorable messages to create and keep loyal customers. Their integrated workflow for projects begins with clarifying client needs, developing and evaluating a plan, executing that plan, and then measuring results. View some of their work online. Lunabean specializes in winery marketing, but also caters to businesses from other industries. They offer support with email marketing (Lunabean is a certified “MailChimp Expert”), web design and builds, and training courses. Their teams have a high level of experience with the wine industry, and have developed winery-specific products such as online social media training for wineries and a tasting room app and mobile solution. Although they specialize in online marketing for wineries, they also have clients from outside the wine industry, including Nike and Lee Weinstein PR. They can help businesses with web marketing, a Facebook app or contest, improved search engine optimization, a brand new website, or even quick consultations to point you in the right direction. View their clients page to see some of their work. Swift is a digital marketing agency based in Portland that was named Ad Age Small Agency of the Year in 2014. They can help businesses with everything from competitive analysis and content strategy to mobile design and social CRM solutions. With a long list of services and a team of professional digital natives, they have a deep understanding of the digital generation and the social spaces they call home. The Swift team believes that “a seamless combination of planning, design, development and outreach are required to unleash the potential of a story.” They can help businesses tell their stories with integrated email marketing, social campaigns, mobile and web design, and content media strategy. Visit their website for their full service list or tweet them to learn more. Gravitate partners with companies to build evolving strategies that adapts to their clients’ needs, and work hard to execute strategies that drive leads and conversions. Their collaborative team is composed of specialists in design, development and digital marketing, and they back up their work with analytics. View their work page for case studies and project overviews. Tweet them for more information. VML is a global marketing agency with offices around the United States and China, Japan, Brazil, Italy, Singapore, Australia, the UK and more. They are a full service digital marketing and advertising agency that can take you where you want to go. They are in the business of creating buzz around your company, and they can do so with advanced digital solutions, brand programs, SEO, mobile marketing, and web content management. Visit their client spotlights to view some of their work. Point It Digital Marketing has more than 10 years of industry expertise in digital marketing, SEO, paid search, and social media advertising. They utilize smart strategy, intelligent execution and thoughtful communication to drive results in pay-per-click, seo, programmatic, and paid social advertising. Whether your business needs a larger digital marketing strategy or to drive more traffic with a particular channel, Point It professionals are here to help. Their digital marketing experts utilize effective tools and training methods to deliver results. They monitor the changes that effect search marketing campaigns, modify tactics when necessary, manage paid search efforts and help optimize ROI. View some of their case studies online. GreenRubino is a fully integrated marketing firm with success stories to tell. They maximize the full spectrum of their marketing expertise to connect with your target audiences, beyond advertising, websites, posts, blogs, articles and keywords. They craft stories from and execute ideas that work, with insight, connectivity and creativity. GreenRubino is fiercely motivated, creative and experienced. They help can help companies develop their brand stories, select their media channels and create the content that will connect with audiences. They live by the credo “the work works.” Visit their website to see some of their work. AMI Advertising Agency is a full-service ad agency that is known for crafting successful brand strategies. They provide support throughout the marketing process, from strategy to media buys. They excel at leveraging marketing and IT to create an interactive experience for your target audience across platforms. The teams at AMI consider design a problem solving discipline and use it to make the user experience intuitive and seamless. They are passionate about the winery and tourism industries, but serve an array of clients, such as real estate and financial as well. View their case studies to see a few of their clients. Razorfish has offices all throughout the west coast in Portland, San Francisco and Seattle. They can help companies predict and adapt to digital disruption, accelerate growth and transform brands. The digital media services they deliver are highly measurable so you can keep a finger on the pulse of your consumer behaviors, competitor tactics and any new technologies that arise in the marketing landscape. The Razorfish teams understand the buyer journey and how to tell brand stories that stand out from the rest to gain attention and results. They use multi-channel marketing to reach your audience wherever they are. View some of their work online. Like the list? Share it with your friends! Hubstaff is a time tracking app that makes recording virtual team intuitive, insightful and easy. Users just need to sign up and install a natively designed desktop timer to begin recording their time spent on tasks with a push of a button. You can use Hubstaff to get unique insight into how your digital marketing teams and contracted agencies are using the time they bill you for. Did we miss any agencies? Let us know in the comments below. Feel free to email this list to a colleague or share it on social media!